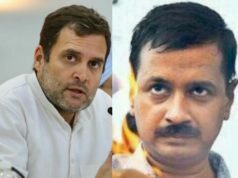 The decision is speculated to be taken in the wake of the recent tussle between 11 AAP MLAs and the Delhi's Chief Secretary, Anshu Prakash. 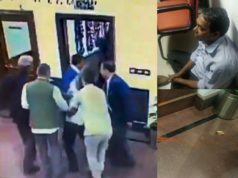 As per the allegations made by the Chief Secretary, the AAP MLAs manhandled him which caused him physical injuries. 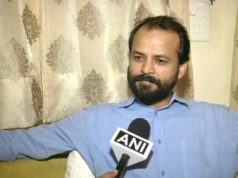 Mumbai: In a precautionary step taken by the Delhi government, the ruling party AAP (Aam Aadmi Party) is thinking over live streaming all it’s meetings with the Beurocrats. 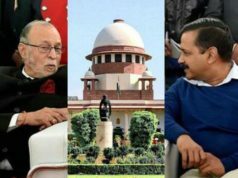 The decision is speculated to be taken in the wake of the recent tussle between 11 AAP MLAs and the Delhi’s Chief Secretary, Anshu Prakash. 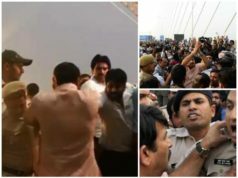 As per the allegations made by the Chief Secretary, the AAP MLAs manhandled him which caused him physical injuries. The news is still boiling as the investigation is underway. Talking about the party’s plan to live stream the meetings, the live streaming video will also include audio and will be accessible to a common man. The common man will be able to check who spoke what in the meetings. 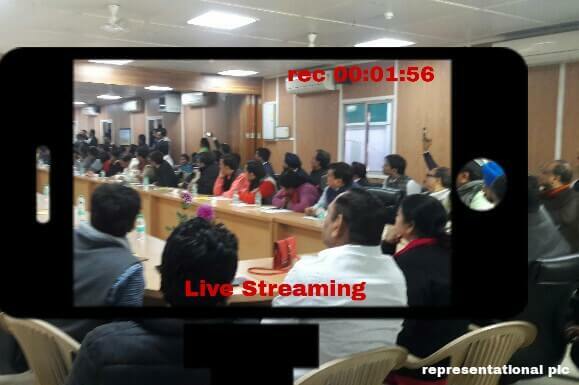 Talking about the drawbacks of such step, the Kejriwal government is planning to keep the confidential meetings away from this live streaming process. As per the report, the confidential meetings will not come under live streaming purview. The plan may be proposed in weeks time and may be discussed for making it effective. The live feeds are proposed to be kept on a website to be able to be accessed by the general public. “The live feed will be available on a dedicated website where people could hear who spoke what in the meetings. With the file-tracking plan, we want to put every noting and detail of each file pending at each stage on the website so that people can know which officer or which political functionary held up the file for how many days,” briefed a government official. With this plan coming into effect, the general public can find out the stage of processing of their file put forward in a government office. The AAP government is planning to bring transparency to the extend that anyone may access the information of who held the file for how long and for what reason. The funds for this purpose will be allocated in the forthcoming budget once the plan is approved and ratified. Another reason speculated for planning such kind of step is the fear of delay in completing several projects due to the prolonged tussle between the government and the Beurocrats. Prima-facie, the plan looks praise-worthy but it would be interesting to check if such plans really get implemented and bring any relief to the general public.